phytostimulants, polyflavonoids, and aromatic oils in an organic fulvic base. biosynthesis of complex secondary aromatic compounds. 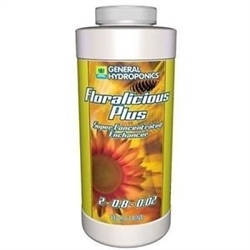 Floralicious Plus is a one part organic nutrient additive to be used throughout your plants growing cycle.